As a new event, the Natural Health & Beauty needs a community promotional effort. Go to the MI Green Team Facebook page, click on the Events tab and the Natural Health & Beauty Expo event (or cut/paste this link into your browser: https://www.facebook.com/events/2009964439222463/. 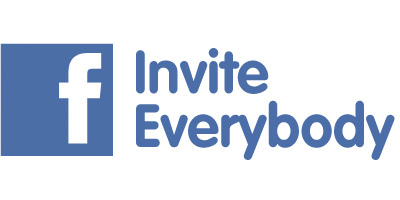 Click on the Invite button under the banner and then "Choose Friends" to Invite. Let us know how your promotions are going. We'll recognize your efforts, enter you in the promo contest, and award prizes at the festival. Beauty comes from health... naturally. Discover how, at this free and fun event, where you can: SHOP for a variety of healthy products and services, and get show specials, product samples and giveaways; LEARN at expert presentations, round tables and wellness checks. ENJOY live music, free massage, and tasty samples and concessions. Come see why the Detroit Free Press named MGT events among the "best of the best" events and both FOX 2 Detroit and WXYZ-TV Channel 7 have featured them in live coverage. The expo will run concurrently with the popular Saturday morning Royal Oak Farmers Market, indoors at the historic venue on 11 Mile, two blocks east of Main. General admission and parking are free. VIP admission includes a goodie bag and exclusive entry in the drawing for valuable door prizes. Details and VIP tickets are available at www.NHBexpo.com. With your help, we can all look forward to another very healthy turn out for the 2nd annual New Year, New You! Wellness Expo!